Looking at the data of the research, currently 75% of the windows in the red light district are filled with male prostitutes, 5% are transgender and only 20% are female prostitutes. Previous research done in 2012 by the local government of Amsterdam showed that the red light district had just 5% male prostitutes and 93% were female. The same 2012 research indicated that human trafficking is involved in the red light district. The municipality of Amsterdam concluded that the percentage of human trafficking lies somewhere between the 8% and 90%. It’s unclear what caused the complete turnaround in male and female prostitution. This will be investigated in the next research commissioned by the city of Amsterdam. It could be that the astonishing turnaround in male prostitution is caused by project 1012 (named after the zipcode of the Red Light District area). This project is focussed reducing crime in the district. To reduce the crime, the government of Amsterdam decided to buy out entrepreneurs and brothel/ window owners. 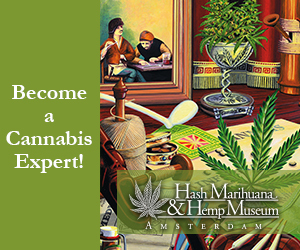 This option was chosen because Amsterdam officials couldn’t proof whether the entrepreneurs were running a legal or illegal business. Charles Geerts, one of Amsterdam’s biggest brothel owners received 25 million Euros from the municipality of Amsterdam. In total he sold 17 properties. The properties were appraised for approximately 12 million Euros. Since the acquisition by the government, most of the brothels went empty and had closed curtains behind the windows. Now, all those windows are filled with male prostitutes. It is very likely that the females prostitutes have left the business because of the disastrous policies by the government, caused by project 1012. Not only did Amsterdam buyout entrepreneurs in red light district. They’ve also decided withdraw the permits of coffeeshops owners, which therefor needed to close their business. It is plausible that the closing of these coffeeshops and brothels decreased the number of male visitors. An anonymous person who works as an official for the government of Amsterdam stated that the male prostitutes are being subsidised by the municipality. In addition to the salary which they earn via their customers, male prostitutes also receive 1250 Euro per month. He also stated that around 350 male prostitutes will continue to receive this subsidy for the next three years. Did you enjoy this article? Others who read this article also read Naked Prostitutes in Amsterdam Build Human Tower As Protest and Activist Prostitutes in Amsterdam Offer Huge Red Light District Discount. Want to know more about (male) prostitution in Amsterdam? 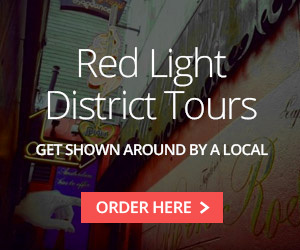 Join us during an awesome Red Light District Tour and get shown around by a local. Were on red light street i Can find male prostitutes?